← Will This Be A Different CEDIA? 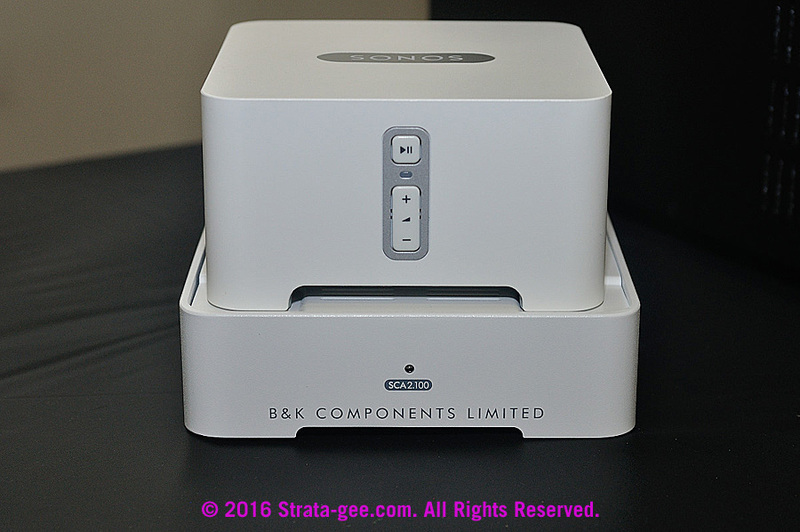 One-time darling of many independent audio dealers and integrators, B&K Components, Ltd. had disappeared from view back in 2010. 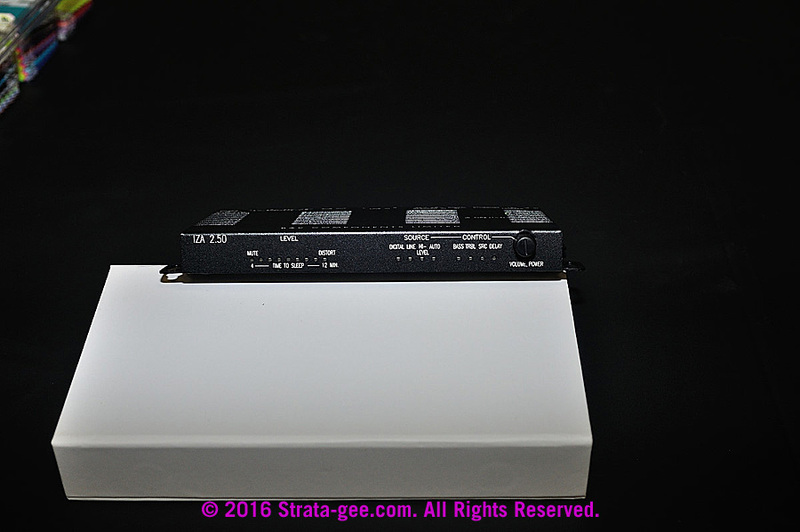 In fact, Strata-gee (then the Alert) broke the news about its impending demise just after the CEDIA Expo in Atlanta in October 2010. The bank was in the process of taking over the company and amplifier manufacturer Amplifier Technologies, Inc. (ATI) swooped in to purchase the remaining assets of the defunct company. Now, the brand is back under new ownership – an ownership with all-new ideas to building a new company under the B&K banner. And who are these guys? Well, for starters, they’re Canadian, eh? 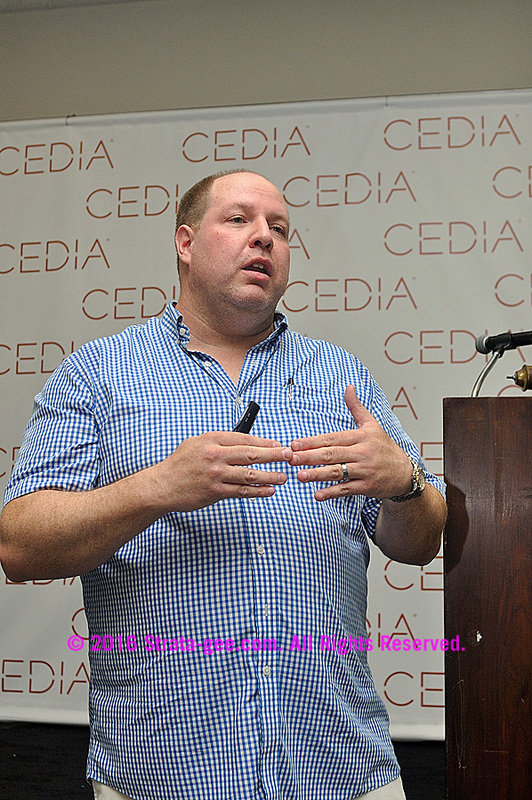 In a press conference the day before CEDIA 2016, new owner Sound Developments Ltd., a Canadian distributor, announced the return of B&K under their stewardship. Sound Developments founder Barry Wosk – who is now also President of B&K AV Inc. – has charted a new course for the company with so many changes as compared with the original B&K, that it quickly becomes apparent that this is B&K in name only. So what are some of those changes? Well, first of all, B&K is no longer a Buffalo, NY…or even American company – although some of the products will continue to be made in the U.S. Second, the world has changed dramatically since B&K went out of business, so the new B&K will be “laser focused on the custom channel,” Wosk told reporters. Wosk said Sound Developments was in a position to update a lot of things the old B&K failed to address. One example – all of the new products would be available in 220v versions – necessary to create a more global brand. But, Wosk noted, the company will not be a “technology innovator” but rather a “feature innovator.” This is due to the fact that B&K has no in-house engineering or product development staff. Instead, they will rely on outside OEM manufacturers to provide these services, in conjunction with B&K management. In an unusual bit of transparency, Wosk even identified the OEM suppliers he will be working with – ATI and Triad. 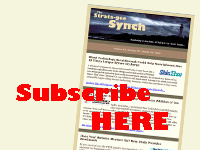 The idea is to produce only a small number of what Wosk called “must have” products for integrators. To this end, they have convened a 20-member group of integrators for a B&K Dealer Council to get ideas. IZA 2.50 – a slim CI amplifier small enough to fit behind a flat panel TV. The IZA 2.50 has 2 x 25 or 2 x 50 watts per channel (depending on power supply) of Class D power. Wosk says it is 3 ohm stable. The unit also offers an integrated preamp for source selection, EQ, and volume control; A/B switching; analog, digital, speaker level inputs; and more. SCA 2.100 – a power amplifier that is “the perfect complement for Sonos” (a Sonos Connect docks on top), the unit offers 2 channels of 100 watts of power each. Also, the SCA 2.100 offers 3 ohm stable, analog input, subwoofer output, 12v trigger, signal sensing, and more. MRA 16.75+ – a 16-channel multiroom amplifier with 12 channels of 75 watts per channel and 4 channels of 150 watts per channel. The idea is to have two zones that offer higher power for those applications that require it. Other features include: 3U rack space, Class AB design, 2 ohm stable, 2 detachable Phoenix connectors per channel, 16 analog (RCA) inputs plus dual zone audio bus, and more. 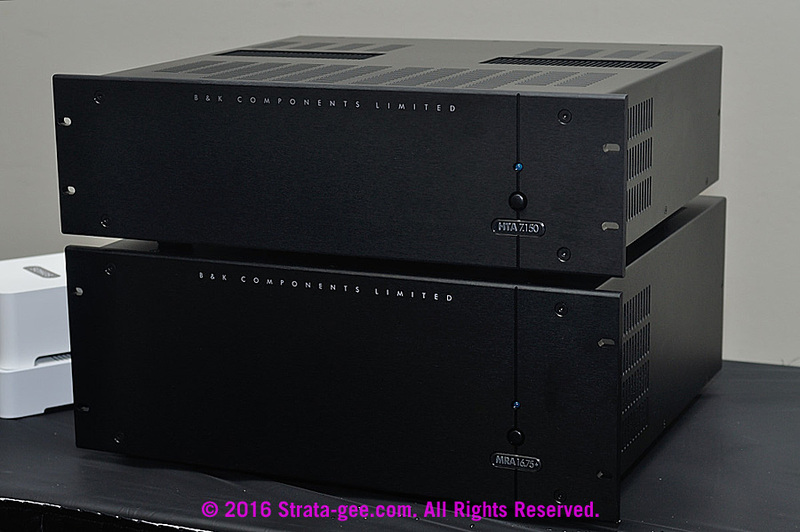 HTA 7.150 – this 4U amplifier was designed for home theater applications by Morris Kessler (ATI). The unit features: 7 channels x 150 watts; Class AB design, “the best sounding multi-channel amplifier anywhere near the price,” 4 ohm stable, “massive” power supply, balanced topology, dual DC servos, 7 balanced (XLR) and unbalanced (RCA) inputs, 5-way binding posts, and more. Soundbars – the company will offer soundbars in three different lengths. The soundbars have a cutout – sort of a notch – on the back that allows the mounting of a IZA 2.50 amplifier, effectively converting it into a powered soundbar. B&K soundbars will come with a universal mounting bracket, a choice of five different colored grills to match most TV designs, and a 5-year warranty. In addition to sales in North America by Sound Developments, Wosk has lined up another 10 distributors around the world to carry the brand. For integrators here in the U.S., all products will ship out of a warehouse in Chicago. B&K has no designs to become a widely assorted brand. Wosk told reporters it comes down to the 80/20 rule and he only wants to serve the 80% of most important needs. Learn more about B&K at: www.bandkav.com.